There were a host of great people that made Dominic's last photo wish come true. I would like to thank Linda from Hair Essence who donated her services of styling and cutting Dominic's mother's hair. She also did her makeup and then drove her to our studio. Linda went way beyond the call of duty. Then there is McGuire Iron where we created the images with the Cadillac in the old Jersey looking warehouse. Scott, you are so kind to let us use your business. This was one of Dominic's favorite images. He loved the Caddy. 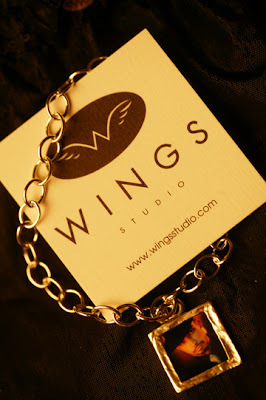 Also, thank you Wings Jewelry for donating a beautiful bracelet with Dominic's portrait, so his mom can keep him close forever. Thank you to my wonderful staff for making all of the details perfect.